The idea of the game is simple. The program chooses a random number and the user has to guess it. After each input, you get some help from the computer: is the random number greater or less than the input you have entered. The basics of a programming language must be known. These are for example the basic data types (integer, string) or commands such as IF or FOR. The major functions of the IDE Integrated Development Environment of Lazarus must be know also. For example how you put components on a form and how to set properties in the Object Inspector. Starting point should always be a new project by selecting PROJECT and saving project and units in a new empty folder. The first thing we thought about together was how the surface has to look like. And to find the right corresponding components in Lazarus. Then we have placed the components on the form and set the properties in the Object Inspector. Next, we considered what variables we need. One for the random number. Another to count the attempts. The right place for that declaration is the private sector in the code. Then the event routine for the first function of the game followed. Double-click the button “Start Game” to create a new procedure. After that, we can fill this empty procedure with instructions. Random numbers are in Lazarus generated with the function Random. After that, the variables are set to the initial values. When our program starts the above procedure has to bee executed. This is done in Lazarus with an event. To do it double-click the OnCreate event of the main form. Lazarus again generates a procedure hull FormCreate, which can be filled. The procedure randomize is important. If it is not called Lazarus generates the same “random” numbers when the program starts. Most of the work takes place in the event routine of the GUESS button. First attempts are counted and displayed. For this, we have access to the Caption property of the label. 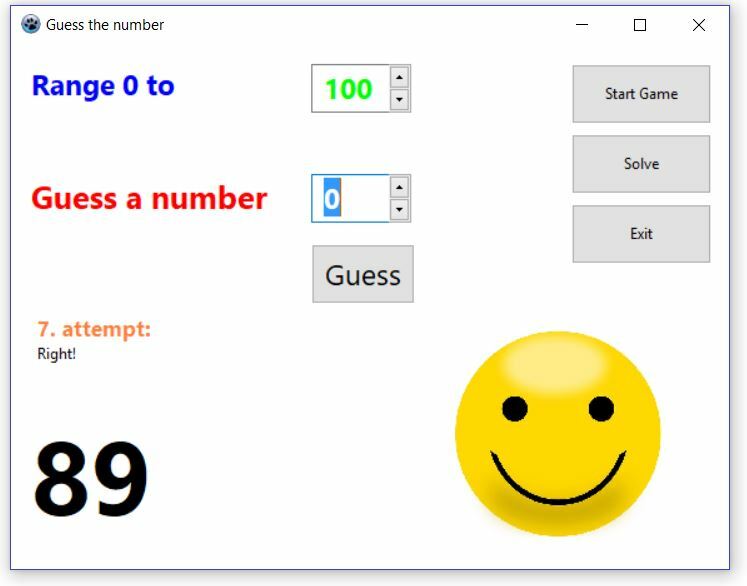 Then we have to check if the user guessed the right number or give some advice if the secret number is greater or smaller. Then everything will be prepared for the next attempt. If the user got no idea about the right number, it’s possible to show it with a click on SOLVE. And that’s it. Now you can start compiling and executing the program! Our first improvement was a better keyboard support. Instead of just a mouse click on GUESS, the Enter key should do the same. That can be done with another event routine: KeyPress of the TSpinEdit. And now have fun reprogramming the game! 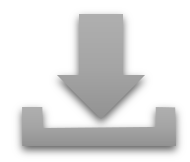 In the download folder you will also find an executable file of the software. If you are concerned about security, please read the page EXE files and the Internet (only German).